Huawei aims to introduce commercial 5G networks, touted as '100 times faster' than 4G, by 2020. China-based telecom equipment maker Huawei has said it is working on 5G network and aims to launch commercial fifth generation networks by 2020. In a guest column in Forbes, Huawei's CEO Ken Hu reveals 5G networks will deliver mobile broadband at speeds of up to 10 Gigabytes, or 100 times the speed of 4G networks available today. According to Ken Hu, Huawei's R&D teams have been working on 5G for several years with hundreds of engineers assigned full time on 5G development. “....Wearable devices such as watches and glasses are becoming the new development and fashion trends. Through today’s broadband connected devices, machines are learning to sense and anticipate human behavior and provide context-aware services. These new connected smart devices will help automate the way things get done with levels of intelligence or digital wisdom we have not seen before,” he writes. Huawei's efforts to develop 5G comes at a time when several countries including the U.K., India and China have just begun to introduce the fourth generation networks. Bloomberg reports China is working with companies in Taiwan to develop 5G technology. 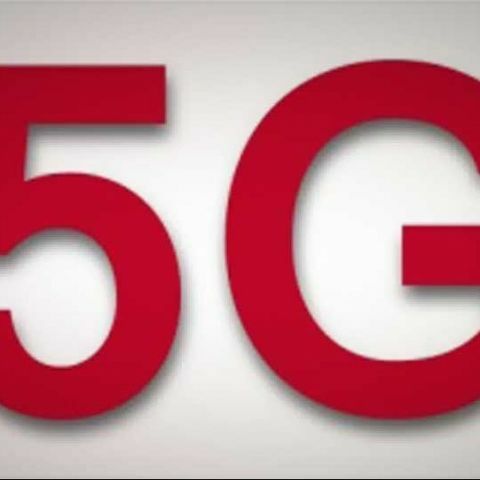 According to reports, China's Ministry of Industry and Information Technology Deputy Minister Liu Lihua has invited Taiwan companies including Hon Hai Precision Industry Co. and MediaTek Inc. to jointly develop 5G. Reports suggest India and Israel have agreed to work together on the development of 5G technology. “"Israel has technology and innovation, India has the capital and market. The two areas which emerge out of discussion related to telecom were: reducing roaming charges between India and Israel and exploring the possibilities of standard formulation, research and development, and manufacturing in the area of 4G and 5G,” Times of India quoted an Indian telecom department official as saying.